UDAIPUR Brown suede slippers with round toe. Designed to be worn with the heel folded down. 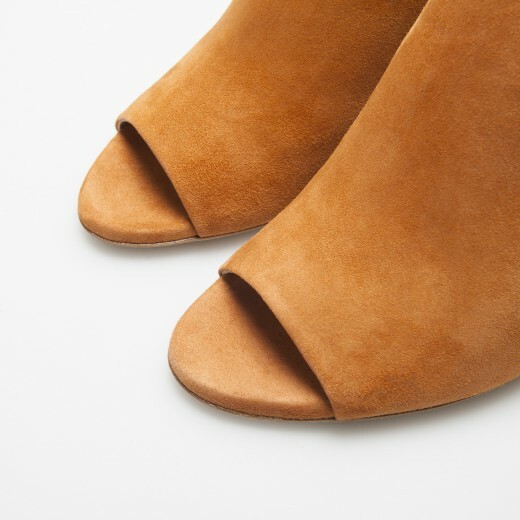 MALINDI Beige suede mule with covered block heels. 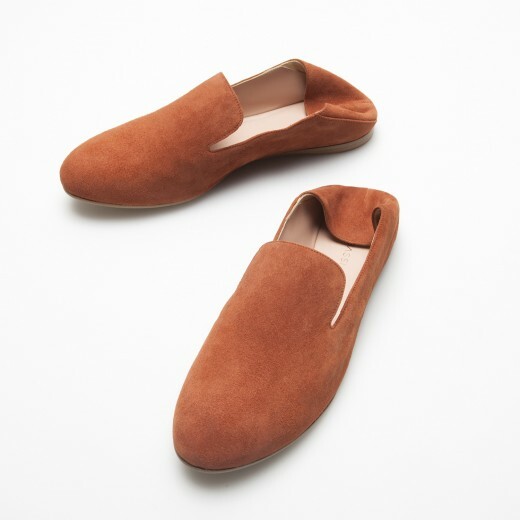 MENTON Caramel calfskin slip-on with fringes and stitching. White rubber sole with stitching. TOBAGO Caramel calfskin sandals with green suede strap and sole. Adjustable ankle laces and covered stiletto heels. TOBAGO Bordeaux calfskin sandals with animalier calf hair strap and sole. Adjustable ankle laces with and covered stiletto heels. 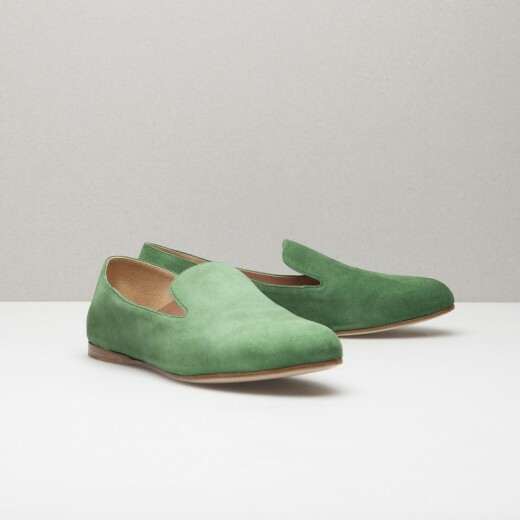 EZE Green laminated cracklè leather slip-on with fabric eyelet and laces. EZE Platinum laminated cracklè leather slip-on with fabric eyelet and laces. UDAIPUR Green suede slippers with round toe. UDAIPUR Beige suede slippers with round toe. 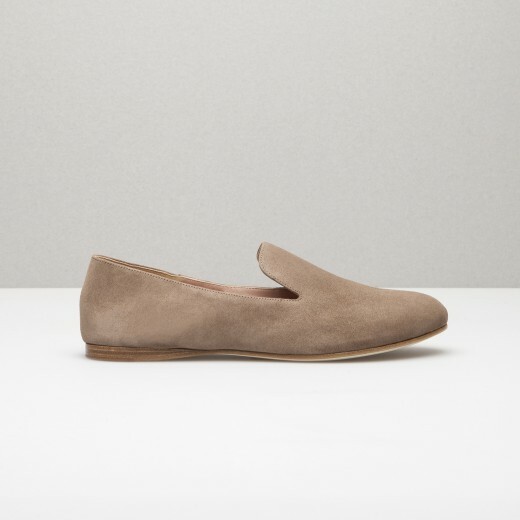 MONTECARLO Bronze striped fabric slip-on. 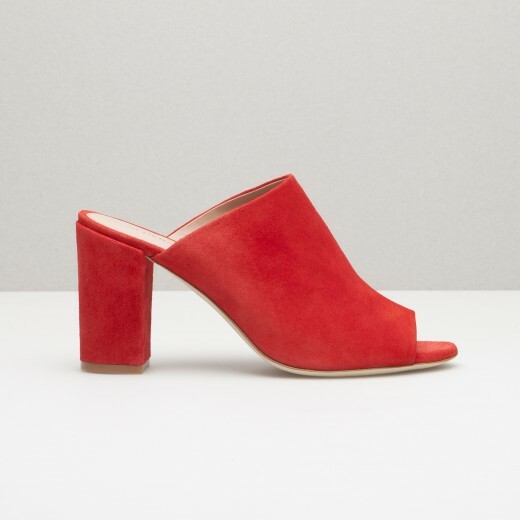 MALINDI Red suede mule with covered block heels. MENTON White calfskin slip-on with fringes and stitching. 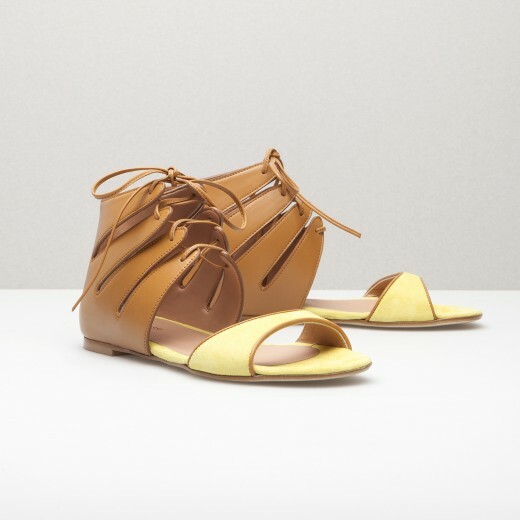 TRINIDAD Caramel calfskin flat sandals with laces and yellow suede strap with leather outlines. TRINIDAD Bordeaux calfskin flat sandals adjustable ankle laces. Animalier calf hair strap and sole with leather outlines. SIMI Black leather opentoe sandals with adjustable ankle laces. Covered stiletto heel and leather laces. 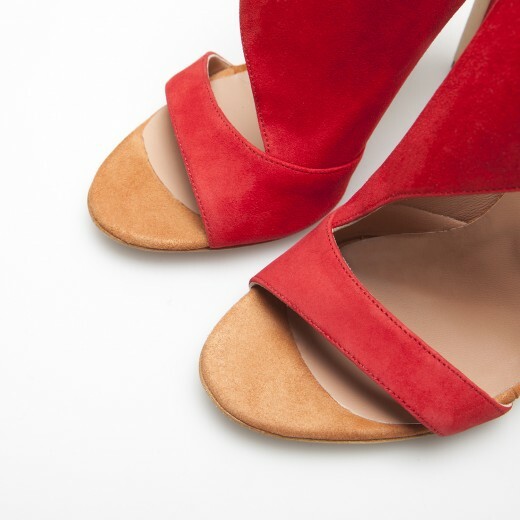 LESBO Red suede leather opentoe sandals with adjustable ankle laces on front and on the side. Covered stiletto heel and red suede leather laces. 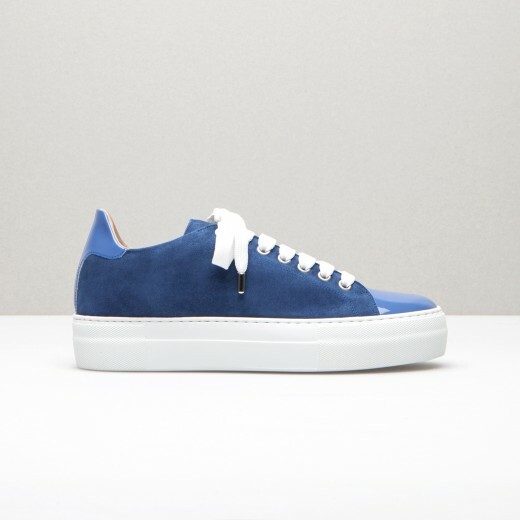 Sole covered with neutral leather suede. LESBO Suede opentoe sandals in neutral leather color with adjustable ankle laces on front and on the side. Covered stiletto heel and suede laces. Sole covered in pink suede leather. CHARLESTON Brown snake leather opentoe sandals with plateau and ankle strap. 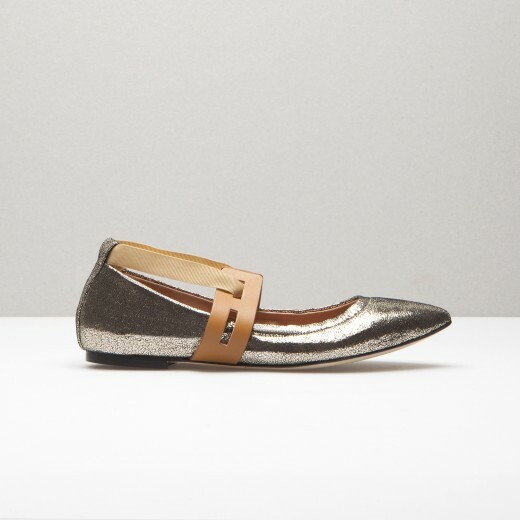 Covered heel and metal buckle. CHARLESTON Dark green snake leather opentoe sandals with plateau and ankle strap. Covered heel and metal buckle. 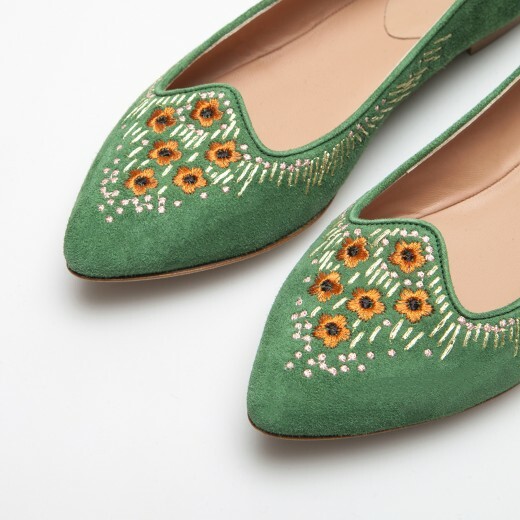 JAIPUR Green suede leather ballerina with multicolor floral embroidery on toe. 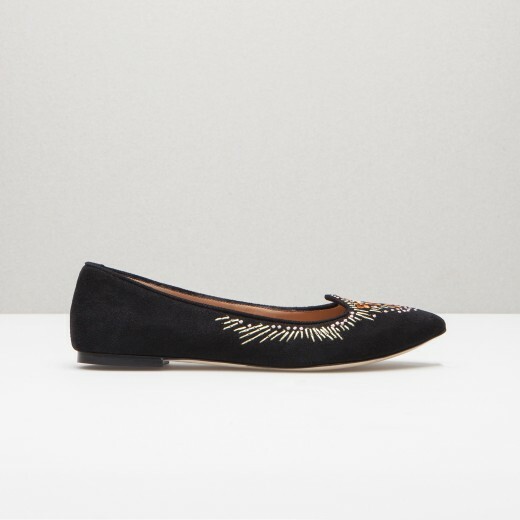 JAIPUR Balck suede leather ballerina with multicolor floral embroidery on toe. 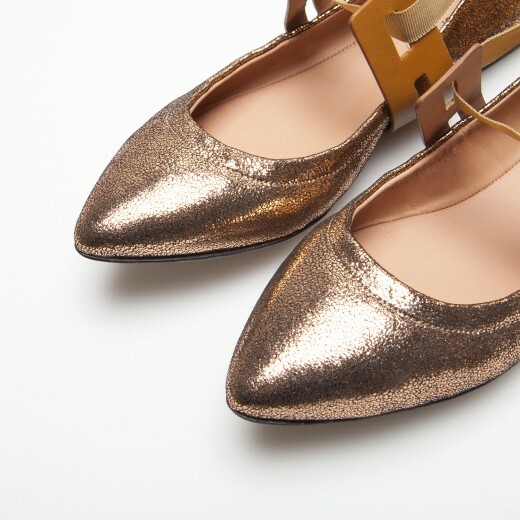 LIPSI Bronze laminated cracklè leather ballerina with leather eyelet and fabric laces. LIPSI Platinum laminated cracklè leather ballerina with leather eyelet and fabric laces. KELLY Powder pink suede sneakers with powder pink laminated leather inserts on toe and back. White rubber sole with stitching and woven textile laces with metallic ends. with stitching and woven textile laces with metallic ends. scarpe eleganti da donna, scarpe da donna alta moda, elegant shoes for women, decollete tacco alto, scarpa decollete, decollete shoe, decollete high heel, sandali eleganti, sandali alta moda, scarpe di lusso, scarpe cool, scarpe fashion - web marketing e posizionametno siti web by Crearevalore S.p.A.